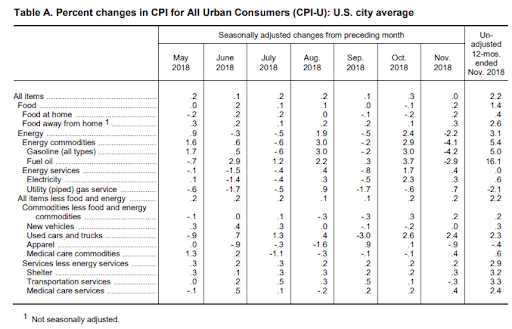 Following yesterday's plunge in producer price inflation, consumer price growth also slowed notably from +2.5% YoY to +2.2% YoY - the lowest since Jan 2018. 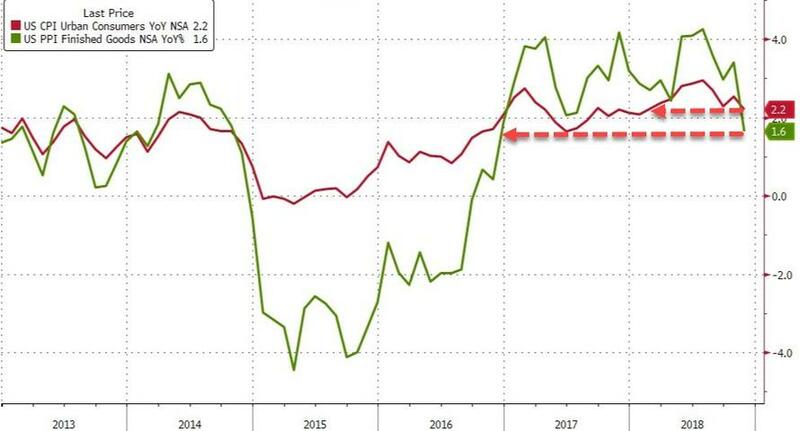 Under the covers, the most notable aspect was the energy index increased 3.1% YoY; this was its smallest 12-month increase since the period ending June 2017. The used cars and trucks index increased 2.4 percent in November. The medical care index rose 0.4 percent in November with its component indexes mixed. The hospital services index rose 0.5 percent in November, its first increase since July, and the index for prescription drugs also increased 0.5 percent. The index for physicians' services, in contrast, declined 0.3 percent. 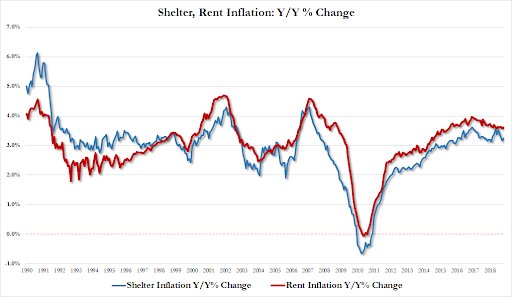 Additionally, the shelter index increased 0.3 percent in November following 0.2-percent increases in October and September. The rent index rose 0.4 percent and the index for owners’ equivalent rent increased 0.3 percent. Yet more cover for Powell next week - but will he still hike?